The Zion Park District held its annual Easter Egg Hunt on Saturday, March 31, 2018 in Shiloh Park, 27th St. in Zion. More than 10,000 eggs were filled with treats and prizes. The Easter Bunny was on hand to greet the children. 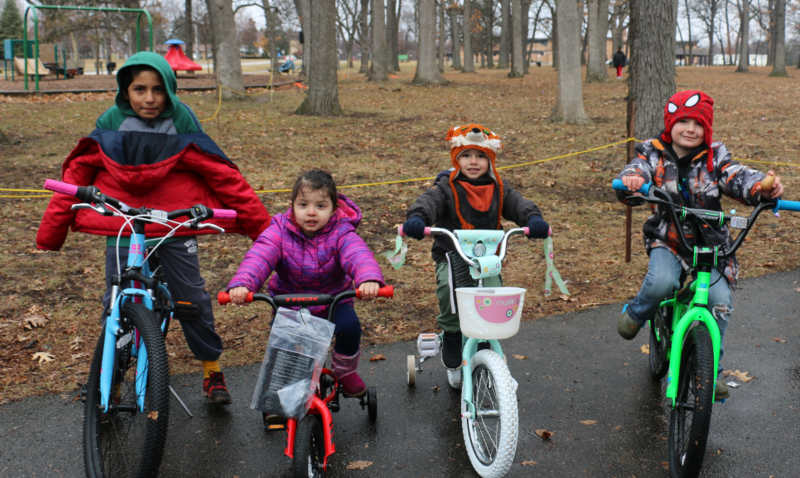 In addition, the finders of four golden eggs won brand new bicycles.